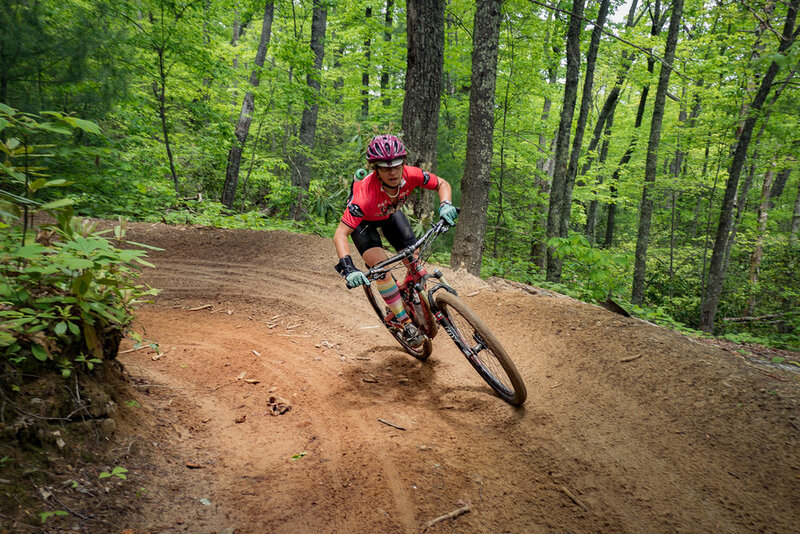 In the spring of 2016, I decided to tick off a couple of big races that had been on my list for quite some time: the Pisgah Stage Race in North Carolina and the Transylvania Epic in Pennsylvania. My friend Brendan joined me to race as a duos team, and we had a blast competing in these races. We won the Mixed Duos category at Pisgah and took 3rd in Open Duos at Transylvania. Since I was going to be on the east coast for those races I decided to spend the entire season exploring the mountain biking all the way from south to north, starting in Georgia and ending in Quebec. 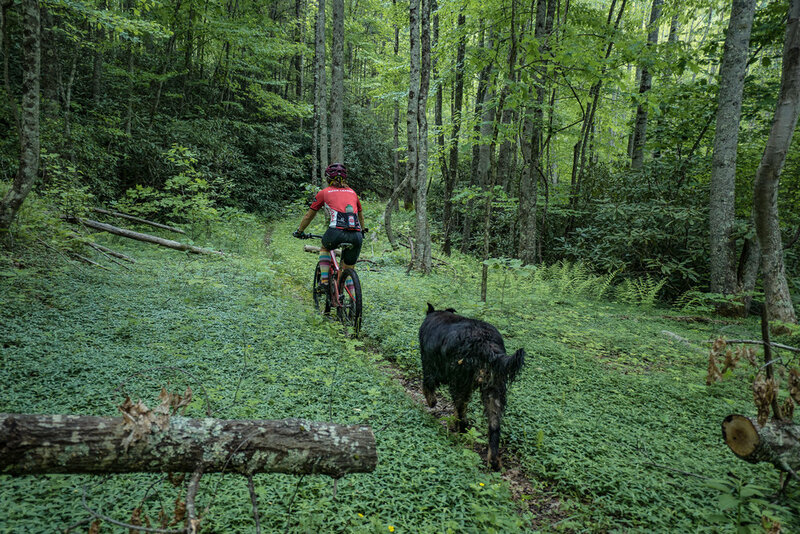 I "got stuck" in Brevard, NC, after the Pisgah Stage Race as the riding in the Pisgah Forest was just too good! 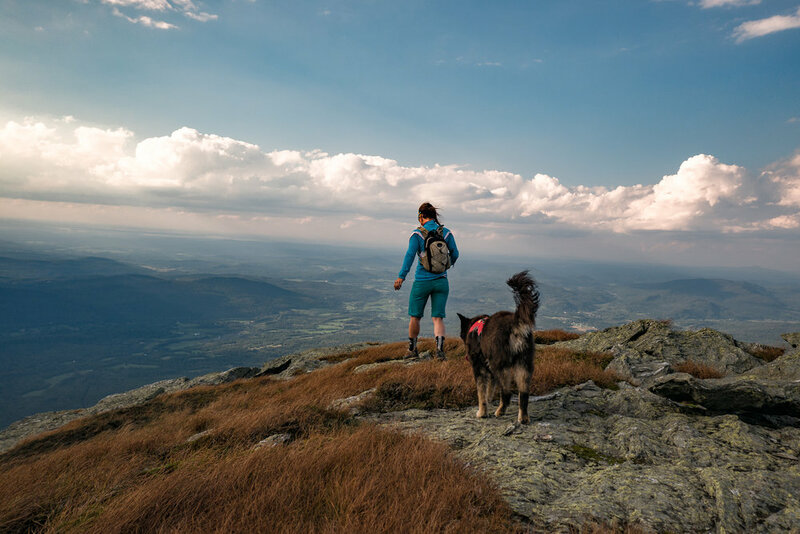 I planned to stay for two weeks, and ended up staying for nearly two months, exploring the steep and rugged Blue Ridge Mountains. 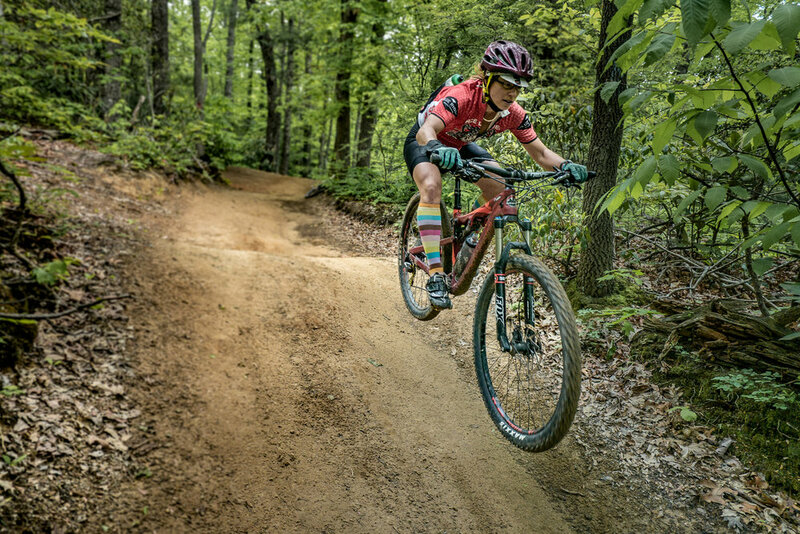 I competed in local endurance mountain bike races on my way from south to north, went on local group rides, got to know the mountain bike communities, and coached mountain biking skills clinics all up the Appalachian Chain. I honed my technical skills on the rocky and rooty terrain that the East is known for. I was surprised and even blown away by the quality of terrain in some of these local races. I won both the Pisgah 55.5 in North Carolina and the Carrabassett 100 in Maine. Both incredibly hard, technical and super fun races! 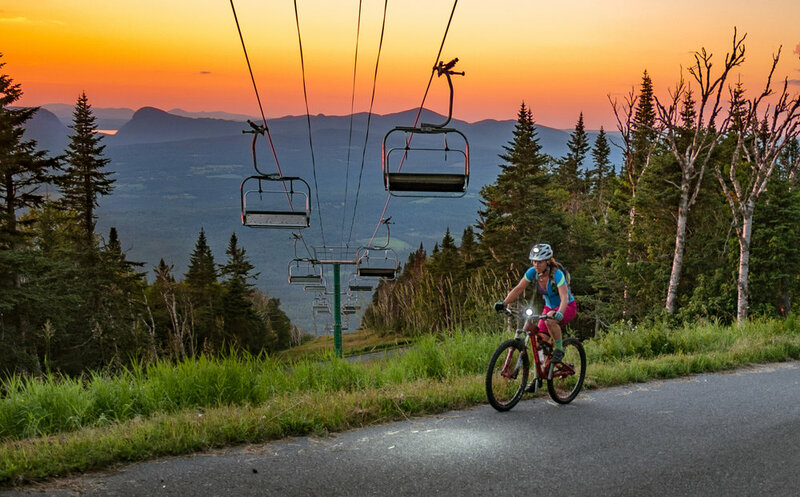 Quebec has some really great riding: it's tricky and technical, and you get lots of elevation without really realizing it! I went there and tried to compete in the Canadian Marathon National Championships in East Hereford, but I got shut down by the UCI officials. Not quite Canadian enough, eh? Exploring all the trails near East Hereford and Coaticook was a good consolation prize. 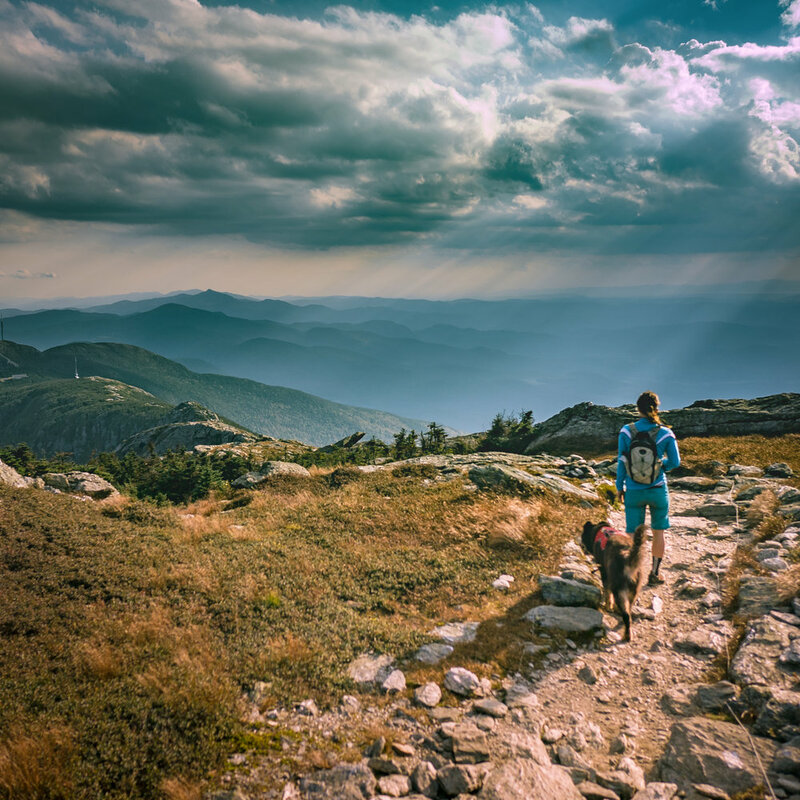 Along the way, I fell in love with Vermont and spent nearly 3 months riding, running, coaching, and exploring all over the beautiful Green Mountain State. Vermont has SO MANY SWIMMING HOLES. And there are practically NO PEOPLE on the trails there. I went skinny dipping more times in those months than I ever had in my entire life. I coached at the Ladies AllRide Clinic and met 100 amazing women. I became integrated with the exuberant and passionate mountain bike community of East Burke, and leaving to head back West in the fall was one of the hardest things I've done in awhile. If you haven't spent time in the East, especially the northeast, I highly recommend it!